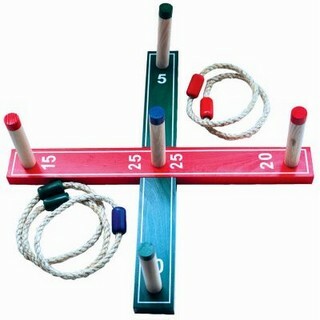 A classic outdoor party game for all the family to ensure. 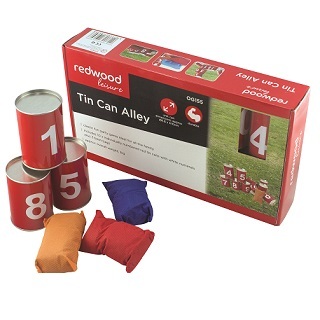 Tin Can Alley comes with 10 individually numbered red tin cans with white numerals. Also included are 3 bean bags. The idea of the game is to stack the cans in a pyramid shape and try to knock them down with the bean bags. 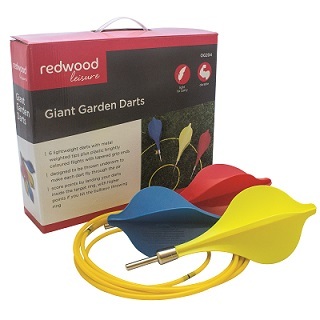 Ideal for school sports day for garden parties, for picnics or while on camping trips. Suitable from ages 3 and up.